Gosh! Comics is probably my favourite comic book store in London. I used to work opposite it and sometimes I would take a 10 minute break and just wonder around the store admiring all the glossy and gorgeous books on display here. On the ground floor there are hundreds of graphic novels, all with beautiful covers, ranging from children's comics like Adventure Time, mainstream titles like Marvel's Civil Way to more indie comics such as the Saga series. In the basement you will find the weekly comics, like Spiderman, Batman etc. The staff here are lovely and friendly, not to mention incredibly knowledgable in what they sell. There is no snobbery here so if you are new to the world of graphic novels you won't have to be nervous about asking questions. Nestled in the heart of Soho, Gosh! 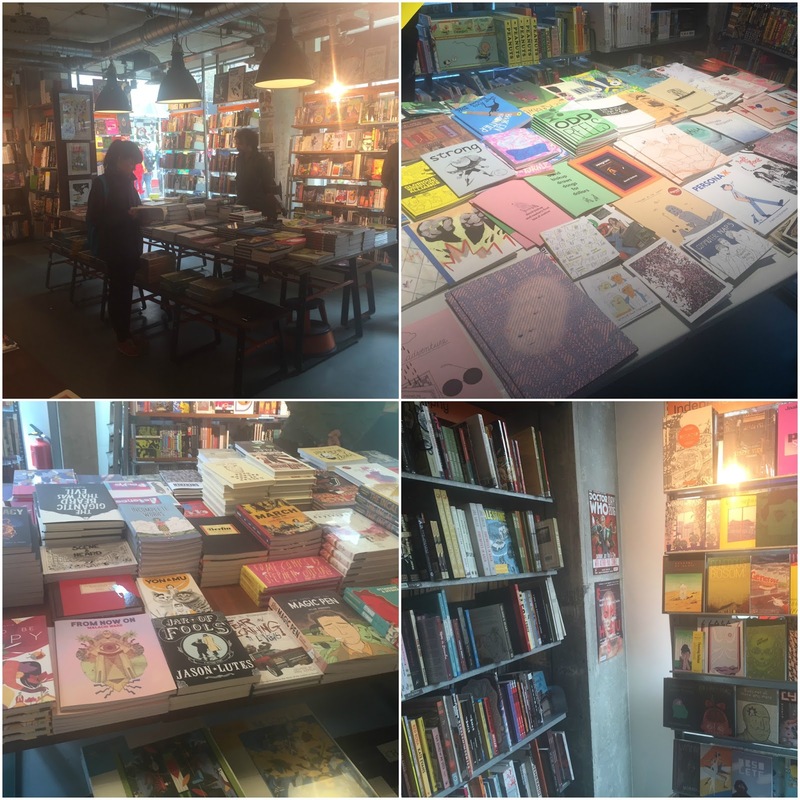 is a great store to visit at any time and is surrounded by plenty of other book stores, restaurants and other fun things to explore so if you are looking to plan a day in London this makes for a great place to go to.